New arrivals on store shelves this week: Ben Affleck and Tommy Lee Jones star in The Company Men, a drama about life after a cushy corporate job; Rutger Hauer is Hobo With A Shotgun; plus a look at the dramatic foreign film, Of Gods and Men. 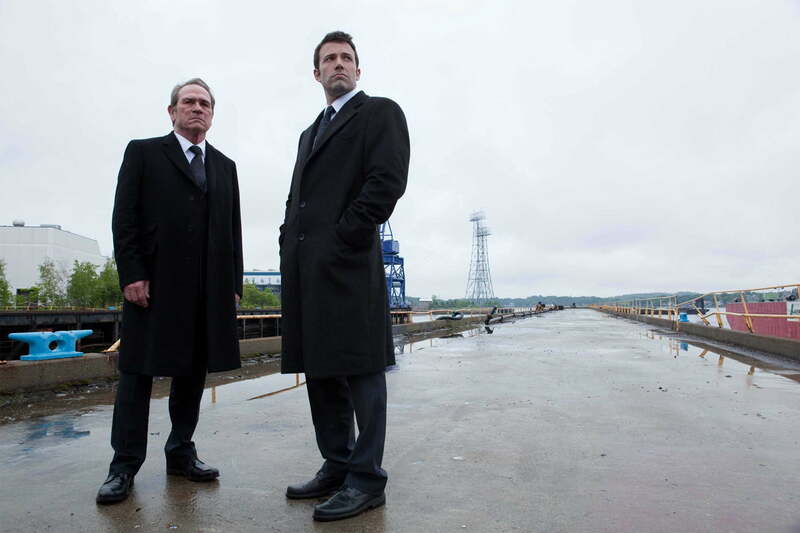 In a film that reflects the age we live in, Ben Affleck, Tommy Lee Jones, and Chris Cooper star as three men who lived and worked in the lap of luxury, until they were suddenly downsized as the global economy took a nose dive. Among the group of men, who all defined themselves by their jobs, they will essentially have to reshape their lives to find out what’s important to them, and what they can do to fill the void, whether it’s up to their previous standards or not. For Bobby, played by Affleck, this new life will mean losing all the things that were a symbol of his high-profile career, including his Porsche and beautiful home, as he is forced to take a manual labour job with his brother-in-law, played by Kevin Costner. Written and directed by ER’s John Wells, The Company Men has a keen grasp of the state of America over the last few troubled years since the economy crashed. These are all situations that seem familiar to anyone who has lived paycheck-to-paycheck, and while the story doesn’t blaze any trails, it is a moving story about people we can relate to and who are all characters you want to follow on their path to a better day. I was impressed with the story throughout, and Wells’ direction, but by far what impressed me most about The Company Men is the cast. From Affleck and Jones to Costner and Chris Cooper, this is a dream cast living out a story that is not exactly uplifting, but it’s heartening and wonderfully well acted. Genre filmmaking comes to Canada in a big way with the bloody Hobo With A Shotgun, the first film from writer and director Jason Eisener, which is based on his fake trailer that first ran ahead of the double-bill, Grindhouse. In the feature-length version of that concept, Rutger Hauer stars as our hero the hobo, a man who has landed in a fresh town to make a new life for himself, only to find crime running rampant in the streets with crooked cops and a single man, known as The Drake, controlling the entire mess with his two evil brothers. Can some lowly hobo actually expect to get anywhere in a town like that? Well, as our hobo proves, maybe with a shotgun he can. Earning a solid reputation at the Sundance Film Festival, Hobo With A Shotgun is a contrary effort to Canada’s usual assortment of dramas and comedies, but it’s a welcome change that might signal a whole other future for our film industry. If you’re a fan of bloody genre films, this is a must-see film that’s worth the rental. Hopefully, the film can prove itself enough to convince the studio to back more home-grown bloody adventures. Hobo With A Shotgun earned an impressive rating of 71% fresh on RottenTomatoes, and has a decent following online since it opened in theatres. Lastly this week comes the strongly recommended foreign film Of Gods and Men, a drama about a small group of French Christian monks living in a monastery in North Africa. Set in the 1990s, the film follows the monks’ story as a fundamentalist Islamic group kills a number of foreign works. Although the army comes to protect the monks, the men refuse the protection and debate whether they should leave the area entirely, although they know they should stay.